With each new quarterly report from Apple is becoming increasingly difficult to ignore the fact of a gradual decline in sales for the entire line of iPad. Perhaps the Apple tablet has been the most rapidly losing its position in the market of mobile electronics goods. Even Tim cook himself, beginning to despair, lamented the decline of consumer interest in tablet computers. Withdraw the iPad from stagnation, oddly enough, have such a niche product like the iPad Pro. At a recent conference he CEO of Apple Inc. said that as unfortunate tablet sales the company had not seen since 2011, when the market was just beginning to develop. Less than 10 million units of tablets were sold compared with the figure of 14 million a year earlier. Apparently, consumers have become boring yearly updates that do not contain anything substantial, besides increasing performance and some extra features. Customers have made it clear that they are not interested in the thickness reduction, the introduction of NFC and a fingerprint scanner. More and more people consider the iPad a kind of computer, even mobile, who do not want to change every year, waiting for more substantial innovations. Published 3 year ago the iPad mini ushered in a new era of the so-called thaw when such a conservative company like Apple still released the 8-inch tablet in favor of market trends. However, to maintain the interest of users familiar and tiresome formats turned out to be short-lived. Of course, the product is quite interesting on all fronts, but nothing fundamentally new, it did not offer only a reduced form factor. But two of the latest generation of “MINICOM” was inferior to all Air 2 models, and therefore adopted a very cool. iPad Pro about twelve inches, like a Phoenix, just have to revive sales and return to former indicators. If all goes according to plan (which, of course, unlikely), the professional tablet will be a real game changer in the market, bringing the unprecedented number of usage scenarios and taking the flagship position. Starting in November, the model with the prefix Pro on sale, Apple will make a decisive step towards the new market share of premium devices for productivity and creativity. Huge 12.9-inch screen with Retina resolution, the processor is the latest generation AH, 4 GB of RAM simply will not go unnoticed. Besides, some unique accessories can help to turn your iPad Pro into a real workstation. So, pen Pencil, recognizes gradations of depression and the angle of inclination, according to journalists, will be able to outdo even the development from Samsung. Smart Keyboard – custom keyboard with a proprietary connector to allow owners to forget about the usual laptops and change to “Proshka”. But the big fly in the ointment in the ointment is the cost of new items. 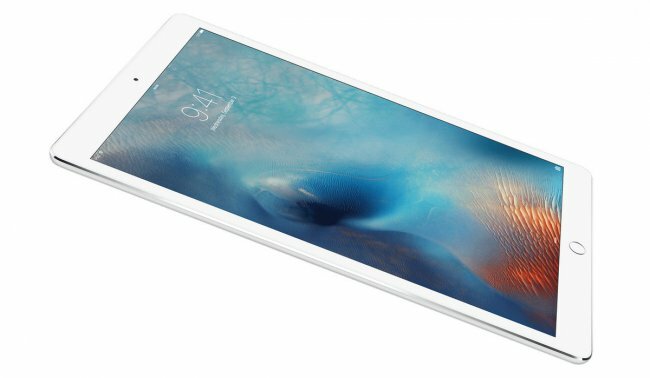 In Russia the “Junior” model of the iPad Pro was estimated at 64 990 rubles, which is somewhat contrary to the principles of common sense. Prices on MacBook Air desktop with the OS X operating system and the processor i5-even in crisis conditions are approximately the same. Anyway, at this point the iPad Pro is the sole and exclusive ACE in the hole to Apple, which may take place in complex combinations in the market. All previous “amazing” and “incredible” are no longer working. Consumers need something new and truly revolutionary. Something that was not there before. But while the iPad Pro only remains terra incognita. Shoot or not? Will see very soon.